Use this addition game in your first grade math center throughout the year. Games provide the opportunity to review math concepts in a fun and motivating way. Encourage cooperative learning and improve interpersonal skills through games. Increase student engagement and motivation with games. “Prayers have been answered! There is so much to love about this pack: minimal prep required, color/minimal color/black and white printing options, and all games have the same rules, so you explain it once and give a refresher once or twice and you’re set for the year!!! 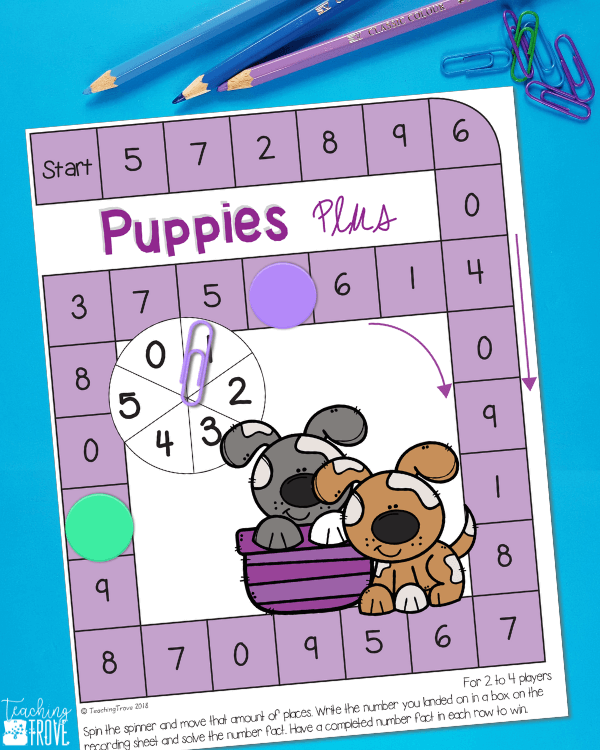 Thank you so much for creating and sharing such an engaging resource.” Mary Ann E.
Subscribe to the Treasured Teachers Crew and get this math center game that you can use to review place value plus the password to my Teaching Treasures Library.